Hi everyone! Hope you had a great weekend! 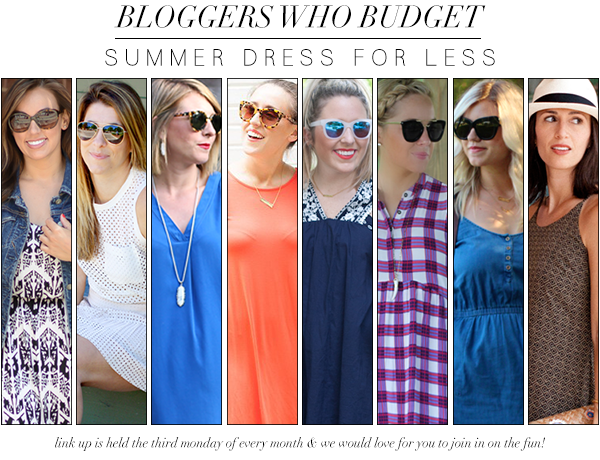 Bloggers Who Budget is back and we are styling summer dresses! I picked up this dress a few weeks ago and thought I was getting a deal, well I guess I was wrong. Now it is even cheaper! I have worn it multiple times and it is perfect for hot summer days! Be sure to check out these other amazing summer dresses for less! How fun! Such a vibrant color! Love the purple gingham! I hate it when things go on ultra sale after I get them! 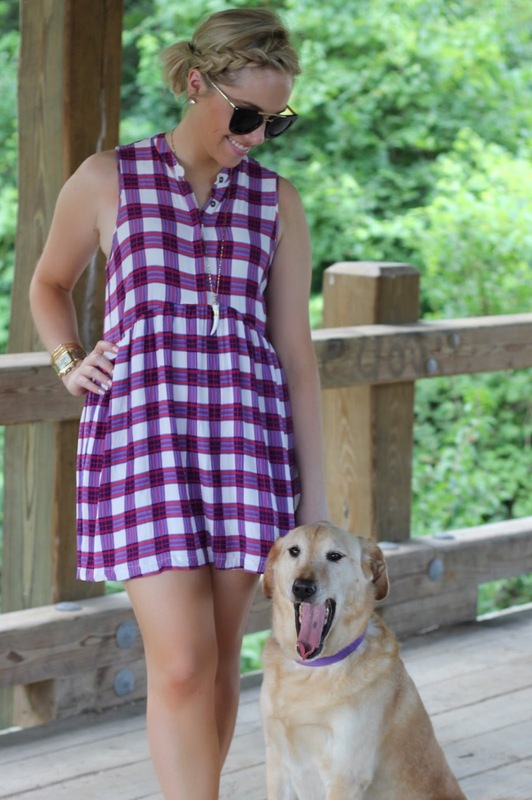 what a cute dress, love the purple gingham. I love the colors in that dress! Gorgeous! I love this dress!! I've been on the hunt for a gingham dress for some time, and if I hadn't finally found something similar, I would totally be ordering it right now. That dress is SO cute! Love the color! Love your hair in these pictures!! Great dress, too! This is adorable! Perfect for summer. Cute braid in the hair and your dog is just adorable! I really like this necklace and dress combo! Such a cute dress that is perfect for Summer! fun plaid dress! you are your pup are darling! I adore this color on you! That is the cutest pattern! I'm also always looking for the best deal!! This gingham dress is the cutest and I love your Summer braid too. I do not see the link-up though.